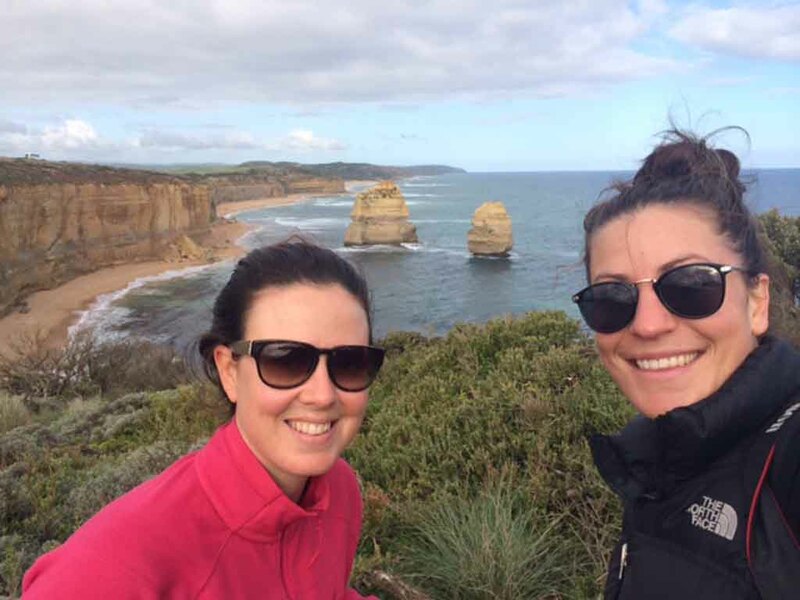 Three Day Great Ocean Walk, Bus Itinerary – Aire River to the 12 Apostles. This is a Self-Guided Walk, picking you up & returning you each afternoon to Apollo Bay. The bus departs from and returns to the Apollo Bay Information Centre. Bus transfers are provided as listed below, you book and pay for your own accommodation and food. (Please note that sometimes this bus may be fully booked or not available. Please check the dates advertised before you book your accommodation in Apollo Bay). date. As soon as we have other walkers confirmed for this date we will contact you to confirm the trip is running and to check if you still wish to proceed with your booking. * If you wish to stop at 'Milanesia 3 ways' you can reduce this walk to approx 18km, as the remaining 2km is on a dirt road. 8.00am Bus transfer from Apollo Bay. ETA: Milanesia Gate 9.00am. Please note that this is a bus service - if you are not at the bus stop at the allocated time the bus will not wait! To be fair to other walkers we must depart at the advertised times. You will need to pay extra fees (or taxi fares) to come back and collect you if you are not at the meeting spot. person walking approx 3-4 km per hour carrying only a small daypack. Please read our terms and conditions. Please wear appropriate clothing, comfortable walking shoes or boots and bring a 2 - 3 litre water bottle. For other suggestions of ‘what to bring’ please refer to our website.